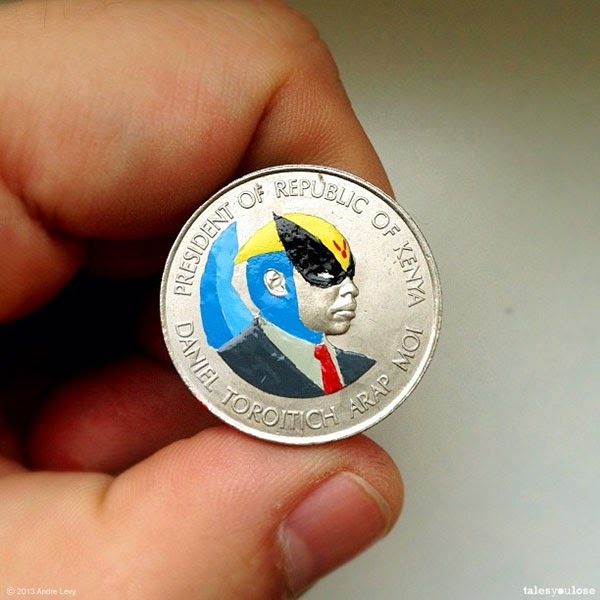 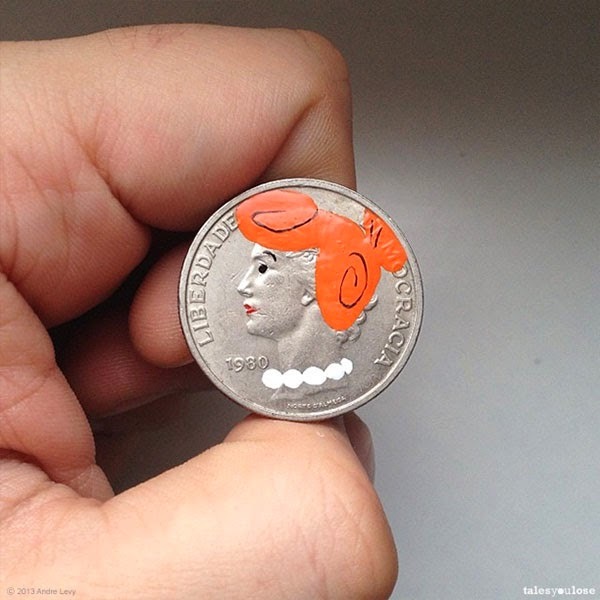 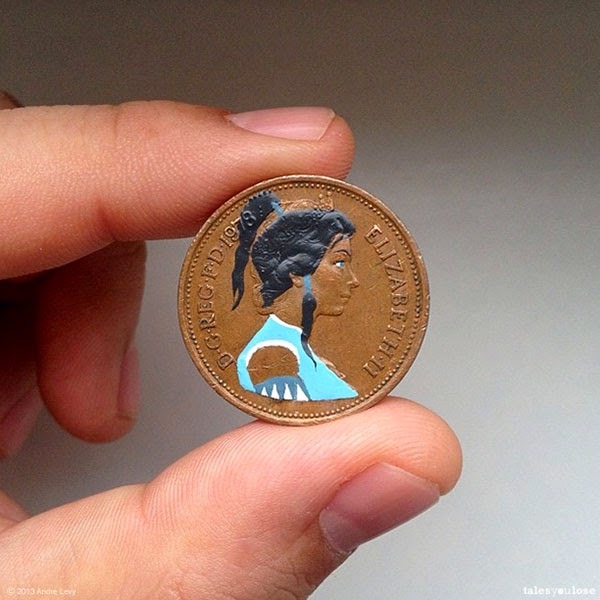 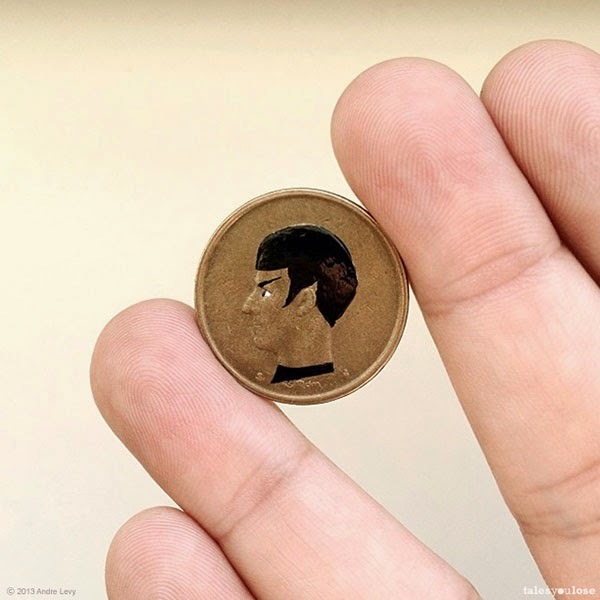 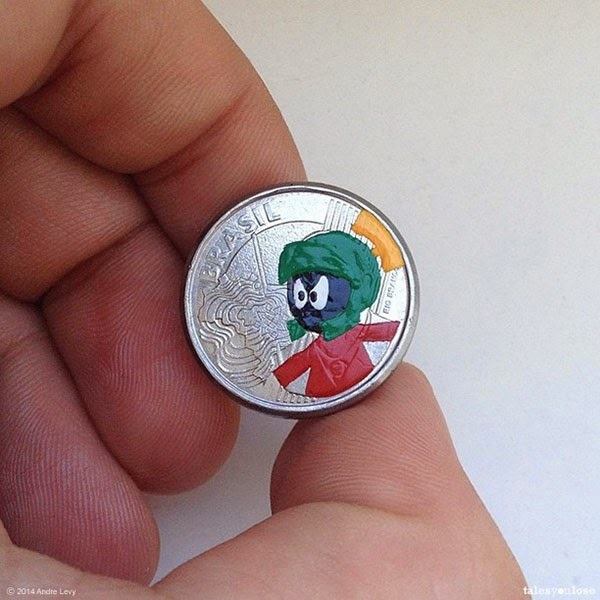 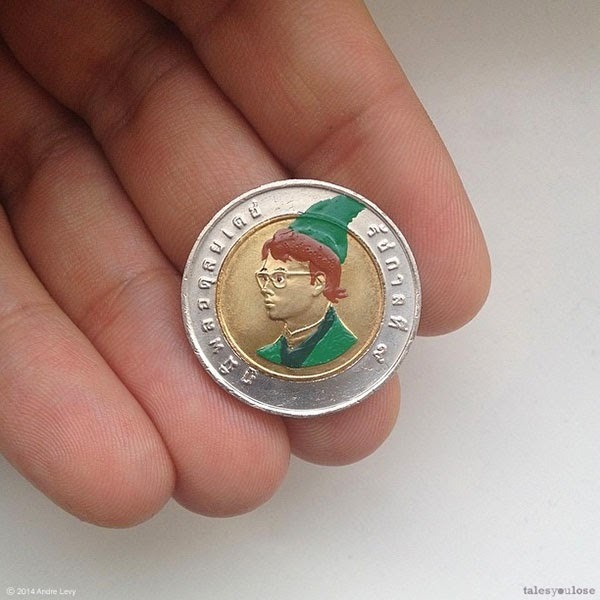 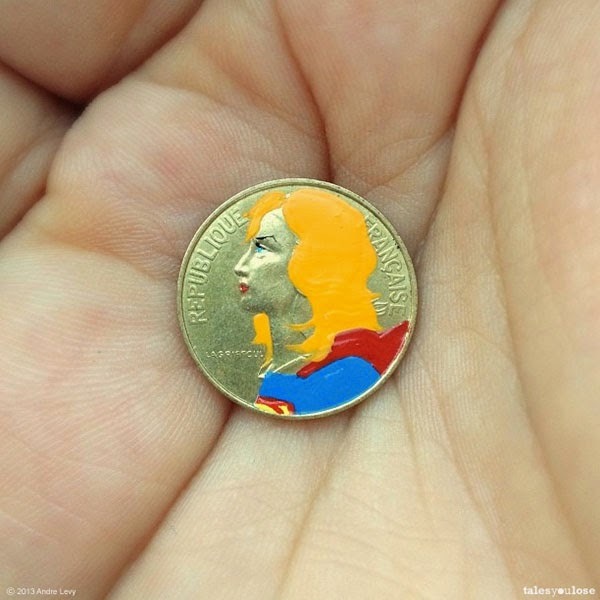 Paintings of recognizable characters from pop culture using the figures or "little sculptures" imprinted on the coins as a base and changing their meaning by the addition of paint. 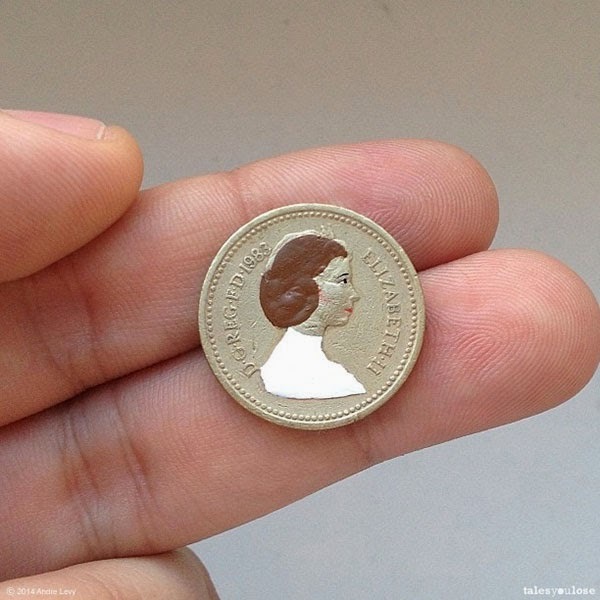 In beginning 2013, wondering about how some old statues lost their colours through time, I started questioning whether something else could also have vanished beyond the paint. 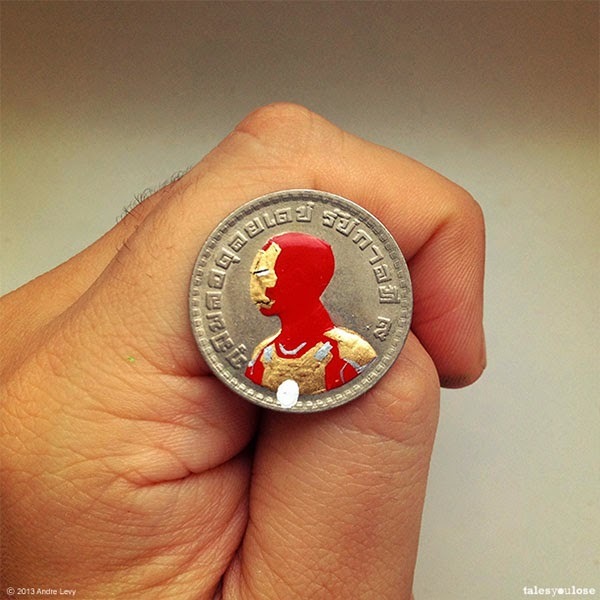 As an experiment, I decided to bring colour to sculptures which were not conceived as such, and the material I had at my disposal were the coins and their effigies.​ This project is about individual expression in opposition to massified thinking, about how our personal passions are more worthy than things that are imposed to us. 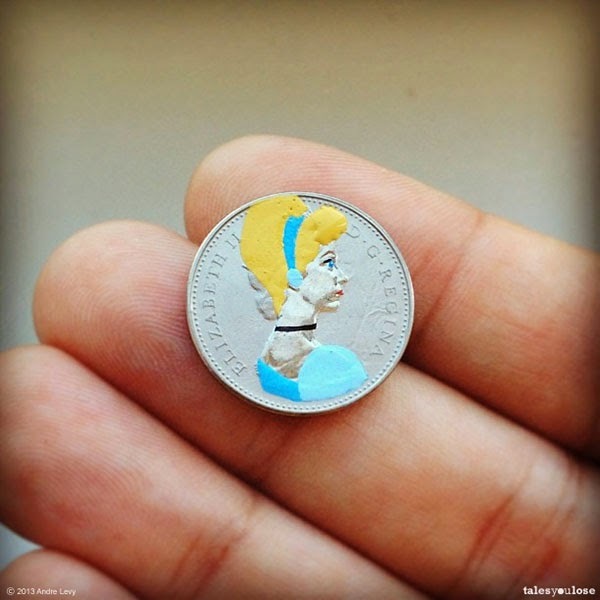 The paint brings to the faces of kings and presidents borrowed narratives from other famous characters and unleash individual alternative stories.